To cap off summer and get our creative juices flowing again after spending so many sweltering hours laying around the house playing Nintendo Switch, we have decided to host our very first Extra Credits game design jam! This game jam will run for 48 hours, starting during the weekend of August 17-19 (Friday-Sunday). However, the submission period has been set to start on Friday, August 17 at 5pm in the earliest time zone on planet Earth (UTC+14), and end on Sunday, August 19 at 5pm in the last time zone (UTC-12). This is more than enough time for everyone to find a jamming period that works for them and also have enough time to submit a game. Ideally you should only plan on jamming for a consecutive 48-hour period of your choice (for example, if you live in San Francisco, CA, you could start your game jamming at 5pm Pacific Time on Friday and wrap up everything no later than 5pm on Sunday). HOWEVER, please do feel free to split the 48 hours up over the three-ish days that the jam submission period is open for, if that works better for your needs. Don't forget to submit your game before the jam closes! You should also know that any genre of game will be accepted for this jam--you could make a text adventure, an RPG, a platformer, a tabletop "offline" game, or something else! All participants, and their games, must follow the Extra Credits Community Code of Conduct, which can be summarized as "don't be mean." Games that discuss particularly sensitive or mature content/themes should have a content warning (this is probably easiest to put in your game's text description while you're uploading it to itch.io, but you can also put it inside the game if you want). Don't start creating assets for your game before the game jam starts! You don't even know what the theme is, yet. The point is to see what you can make and finish within the 48-hour/2-day time limit. And that also doesn't mean "spend 48 hours straight working on your game." Heck, don't even spend 8 hours straight. Take lots of breaks and take care of your life. We know a lot of you work jobs that have weekend shifts, and maybe you only have a few free hours--do not fret. Make something fun for yourself. Learn something new, even if you end up not wanting to submit a game, and tell us about how your jam experience went with the hashtag #extragamejam on Twitter. Please don't use other people's assets or work in your game, without their permission. There are a ton of assets out there, like scripts and animations and music, that have a Creative Commons or public domain license on them--you can use those in your game if you want. Give credit to anyone who contributes to your game. Accepted game formats: any format can be submitted to the game jam, including but certainly not limited to: Mac-only games, mobile-device-only games, pen-and-paper PDFs, etc. This is an unranked game jam. Please don't worry about trying to have the best-looking or best-playing game relative to what others are doing--make something that delights YOU! There will be no formal judging or voting system. That said: we do have a few goodies planned. We will award a to-be-determined number of gift certificates to the Extra Credits merch store to random game jam participants (proportional to the number of submissions to the game jam), as a way of saying "thanks for playing!" You'll have the option to fill out a short survey after the game jam ends. 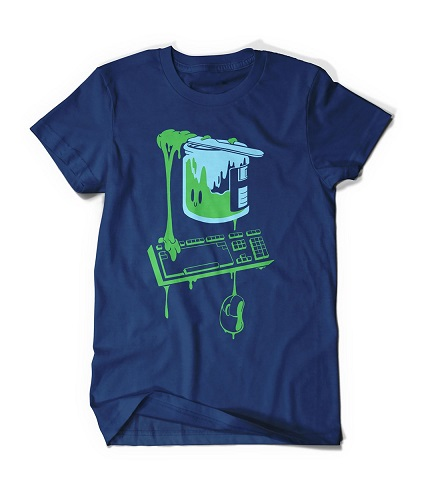 Perhaps you want to spend your gift certificate on this new game jam t-shirt we just added? We will also host a let's-play livestream with Belinda and a few other Extra Credits staff a week or so after the game jam ends, featuring some of our personal favorites from the game jam submissions. We definitely will not be able to play everyone's games on stream but we will have fun talking about some of the ones we find interesting! Due to limited resources and time, we will only be able to view and play games that are compatible with Windows or a web browser (e.g. HTML5 games) so consider publishing your game in one of these more accessible formats if you want it to be considered for the let's-play livestream. A game jam is a creative exercise that lets you practice making a game from start to finish in a very defined, limited amount of time. 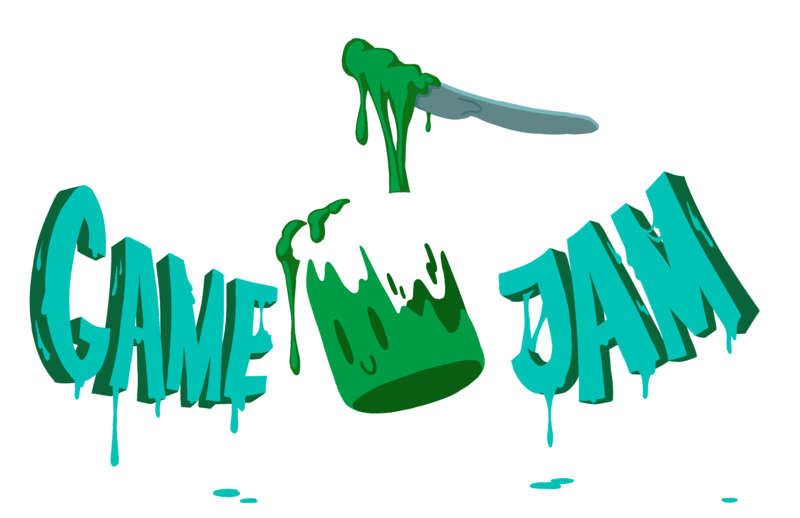 Adriel Wallick, the founder of Train Jam, has described game jams as “practicing the skill of finishing.” It’s easy to come up with countless game ideas, but actually picking one and making it a reality is a worthy challenge! Can I make a video game if I'm not great at coding? Or know how to do art? etc. As far as game design lessons go: check out our playlist on how to make your first game which includes tips that are very relevant for game jams. As far as game development tools go: Belinda really likes using Twine (which is a great tool especially for writers, and it lets you get right away to doing game design without as much of a learning/coding curve found in more complex software available). Other potential options include Stencyl, Construct 2, and GameMaker, as well as more famous programs like Unity and Unreal Engine. Extra Credits gets a lot of questions about which program to get started with and the truth is, it doesn't really matter since different software is better suited to different types of game genres. If you have a specific type of game in mind that you want to make (e.g. a 2D platformer) but don't know where to start, you should check out this interactive quiz which will help you choose the best software to start learning. Should I have a team? You can, if you want to. For virtual/online game jams, we recommend no more than 3 people to a team, because it can be hard to coordinate/distribute work evenly with a bigger team when multiple time zones might be involved. If you're working with friends locally, 4 people is a safe maximum. It is also totally okay to work by yourself! If you are working with one team across multiple time zones, decide between yourselves on which time zone you want to use for the start/end of the game jam. My skills are very specific; I'm not a generalist. Can I contribute to multiple games instead of just one game/team? Yes, you definitely can! Some people and some skills, like music & audio production, are very well suited for this type of collaboration. Everyone will have an opportunity to participate in the random prize drawing later, if you contributed work to a game but weren't the one who submitted it online. How can I meet other jammers? We have a Discord community for the benefit of any jammers who want to find collaborators, share their progress, and ask for feedback. I (Belinda) will update this page with answers to other related questions that might come in from social media or email. Assist a warrior in defeating a dragon and bringing peace to the kingdom. You should not overwork yourself. You cut aliens in space. Have fun blasting at an endless wave of missiles in this fast-paced, addictive, super juicy game! A silly game about getting 1000 Awesome in the shortest time! A guy tries to make the best game ever. Tries to. Save aliens! Defeat space pirates! One boat. A couple of sailors. And a whole lot of cannon balls! Fight through five rooms of enemies in this melee, bullet hell! The most epic quest to become the most awesomest robot there is. Play a cute dog performing a show in this short rhythm game. A game where you SWAP your gravity... Fun and creative Try it out! You're an astronaut. With a skateboard. Made in 30 hours for the first Extra Credits game design jam. Pet the dog! Win his affection)! Leap on the dragons back thousands of feet in the air and bring it down! Don't get knocked off! ​A young star has fallen on a strange planet far from home. Barbarian incoming! Defeat them to protect your tree, also don't forget to dodge the fireballs! A visual novel about a game show and its contestants. An adventure about friendship and support! Grind as fast as you can to level up! Avoid circles and speed up time to get the best score! Created for the Extra Credits Game Jam! A top down action oriented endless shooter. A Topdown Shooter, with a Car Theme, where everything is related to your Speed. A game about making the best of it. Run through several short dungeons as fast as you can! A text-parser game where you visit a museum. U run like. Really good. You can cut things too, but like.. why? Just run dude, you're doing that super goodly already. Explore, collect ammo, beat the boss. Move with the rhythm to increase your score. A clicker game, without the clicking. Gun down bad guys on a highway! This is a game that lets you poorly roast 4 of H.P.Lovecraft's Great Ones. Some mild Rank Outs. Extra Credits 2018 Game Jam submission. Kill your opponent before the walls kills you. A complex murder mystery using just paper and a deck of playing cards. A simple game in which you fly a ship and shoot other ships that try to ram you. The townsfolk are concerned for the local lords who've been missing for months. Monster Truck Mayham. The only game which unites Monster Trucks, zombies, and flying jerry cans. Co-operative board game about getting lost in the tunnels you dug for yourself. Overcome CARTASTROPHE at your unpaid Bostco Internship! Become Cart Manager! Press the spacebar as many times as you can, in 1 minute. A game where surviving your own onslaught is the goal. a bullet hell where your enemies are trying to send you there. Fast-paced jrpg where you gain new skills to take on challenges rather than grinding. Get as far as possible in this F-Zero-like arcade game! A zombie shooter with more guns than you can count ! You have 9 lives to get as many cats on the moon as possible. Bessie, the adorable station wagon, is out for an adventure. Fast-paced mini-game about dashing through bacteria! Move through the sound. Unlock the gates that block your path. A brave cat defies barrels, rats and trafic law to reach ultimate speed! Widdershins! The Inquisitor is Here! Oh, widdershins! The inquisitor is coming to my house! Will he find all of my witch things? A one page RPG about orcs being belligerent. Made with insperation from the original Astroid game and far cry blood dragon, What can go wrong? This is a small arena game for the extra credits game jam. an entry to the extra credits jam, our first game on itch.io! Super crazy intense bomb badminton, in space! Plus robots, bombs, and explosions. When you're trapped between a hungry, fire-breathing dragon and exploding chickens, there's only one way out. Stranded in space, hungry aliens and some turrets. What are you waiting for? Short the circuits to ground(low) or to source(high) to prevent an IED from exploding. VR shooter built as part of a 48 hour game jam! How long can you last before the exams catch up to you? A top-down, arena fighting game with over the top special effects. An "Awesome per Second" themed game! A short silly adventure of the Galactic Foxian Empire invading a demon lord's castle! The name of the game varies! A fast-paced space shooter made for the Extra Credits game jam. A short clicker game about awesomeness and ego inflation. Fight by yourself, for yourself, in this simple style side-scrolling shooter game! You play as a barista trying to juggle the tasks needed to keep her job. A game about coping with OCD, and how hard it can be to accomplish simple things. Hide from the lights to get out of this quick platformer! Stay alight while fighting through an office building filled with evil televisions! Stay in the shadows to stay safe from the deadly light. A game made for the EC game Jam. First game I've finished. Fighting Geometric Aliens in the desert as chosen ones! Defend yourself from blue dudes who want to kill you. Rhythm Game. My first Game Jam Game. Your choices are who you are. Choose wisely. A two-minute abstract escape room completed in RPG Maker. A story about leaving one's country and heart. A tabletop game about killing monster and getting magic items. A roll & write game where you must make the best tasting pasta sauce! Click on enemies while following the rhythm to beat them... Up ?